The Northport girls volleyball team hosted a fundraising game against Walt Whitman High School on Sept. 28. The game was held to raise funds and awareness to support Danielle DeSimone, a NHS alumnae who is currently battling leukemia. She has volunteered her time helping out the team with open gyms, practices and tryouts since she graduated in 2016. 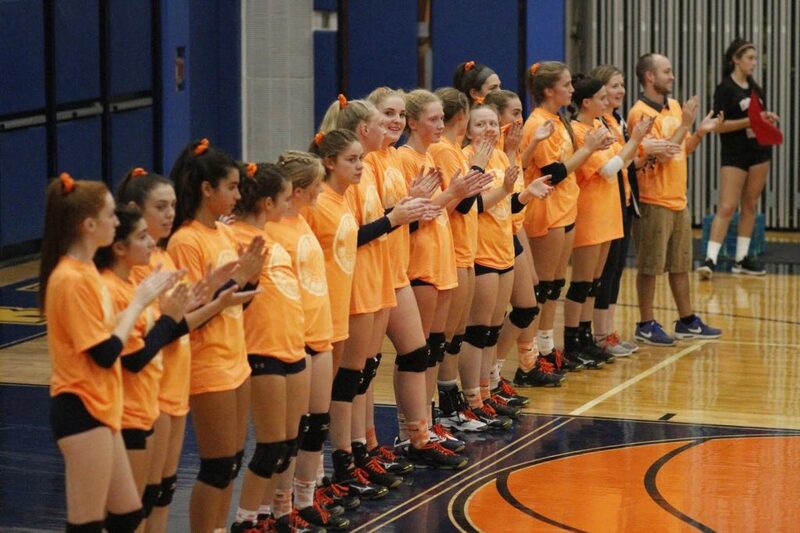 During the game, the entire team wore orange t-shirts, the color for leukemia awareness, that read “Digs for Danielle.” An overwhelming amount of the Northport community attended the fundraiser and helped raise more than $8,000 for Danielle. The girls have worked hard over the course of weeks to plan the event, raise awareness of the cause in their school and community and gather donations/ support. They decorated the gym in orange before the game, as the color orange raises awareness for leukemia. The weeks leading up to the game they designed and hung up posters in school, made morning announcements, held a 50/50 raffle, sold volleyball magnets and wore orange all to support their friend and alumni Danielle. Danielle watched from her hospital room the opening ceremony of the game via facetime, as she was unable to be there. They hope to possibly continue their support with a fundraising dinner. 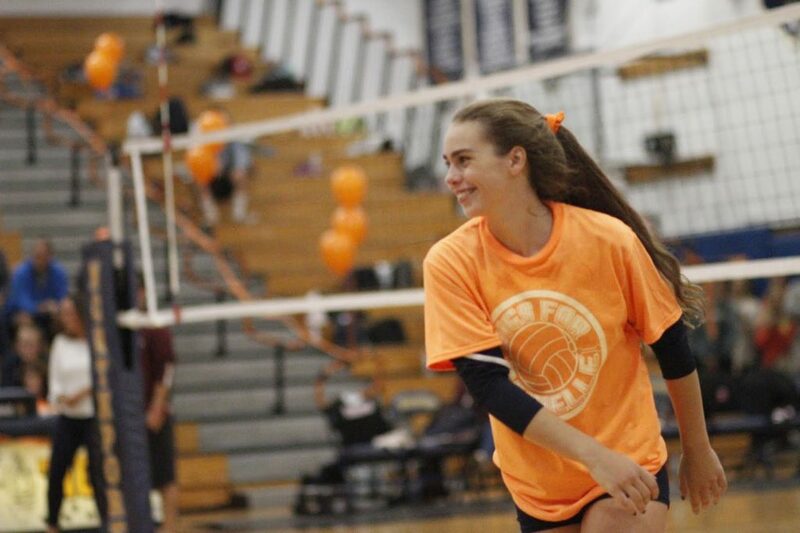 Photo caption: Northport High School’s girls volleyball team hosted a “Digs for Danielle” fundraising game on Sept. 28, raising over $8,000 for Danielle DeSimone, a NHS student who is battling leukemia.